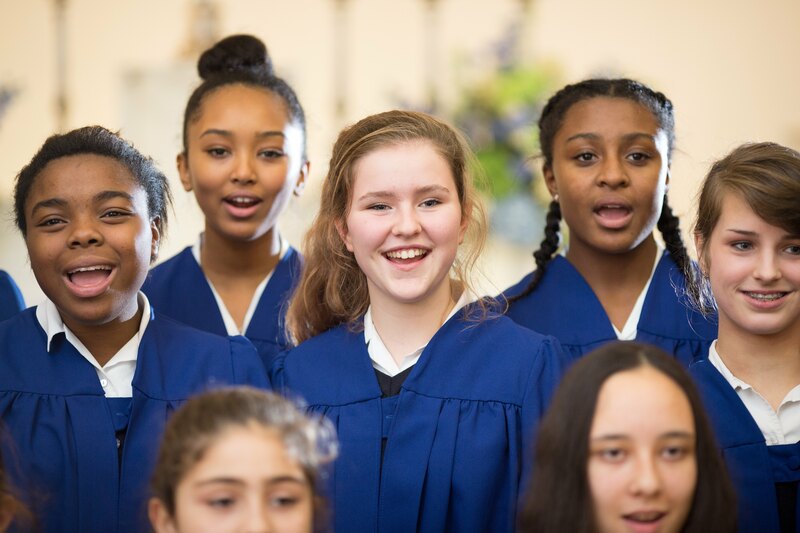 Music is a vital part of a complete education, and at St Augustine’s Priory we encourage each girl to develop her musical skills and interests both in the classroom and through partaking in a range of extra-curricular activities. The Chamber Choir, started this term, now has 18 members preparing challenging repertoire and harmony for the St Cecilia concert and Carol Service. One of our Music Prefects learned an entire musical on electric bass for the whole school production of Little Shop of Horrors – an instrument not previously in her repertoire! Through engaging with and studying music, we develop a unique set of skills – cognitive, physical and social as well as musical. 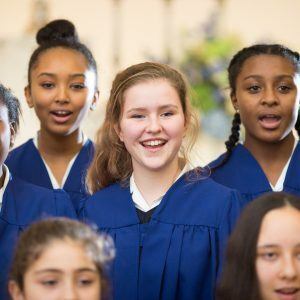 At St Augustine’s Priory we believe that everybody has musical potential and we therefore encourage each girl to develop her own musical skills and interests. This is achieved through an exciting and varied curriculum and also by offering a wide range of extra-curricular musical opportunities. 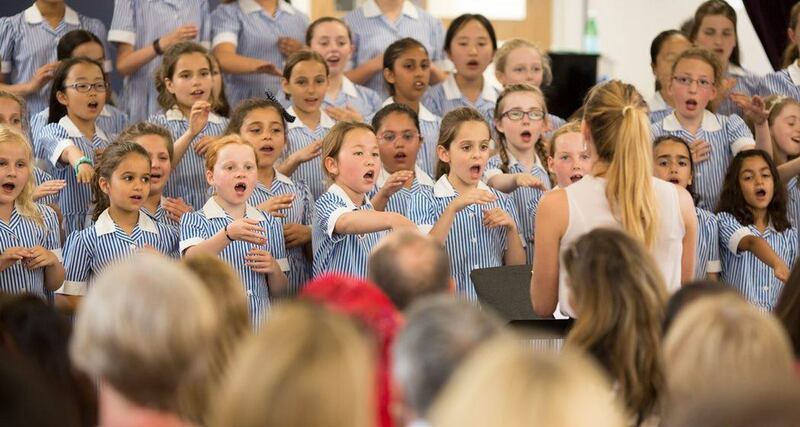 A large proportion of girls also take advantage of the excellent one-to-one instrumental and singing tuition that is available in the school. 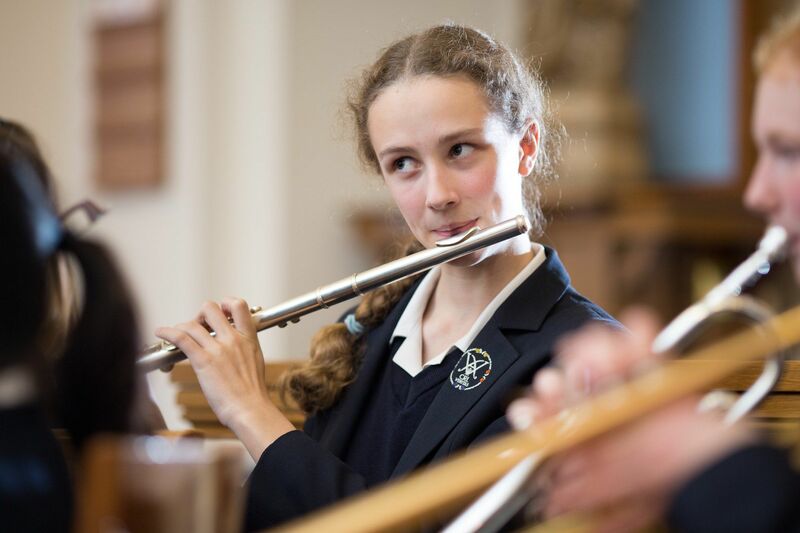 There are many gifted and talented musicians at St Augustine’s Priory contributing to a very high level of music making throughout the school, and we nurture this talent by providing solo and ensemble performance opportunities at a suitably high level. Those who are less experienced are equally well catered for, with carefully differentiated tasks within the curriculum and appropriate extra-curricular ensembles which are designed to encourage and provide enjoyment to all. There is a strong practical emphasis in Music lessons in the Prep and Junior Schools. A varied range of activities develops different aspects of musicianship. Singing holds a special place as the most fundamental musical practice. Instruments are used to encourage creativity. As they progress through the Juniors, girls develop keyboard and notation skills which will help them in their transition to the Senior School. Performance opportunities abound, from regular ensemble concerts and Soloists’ Showcase concerts to the annual Songs and Certificates events, as well as more informal opportunities in class. In Key Stage 3 the use of Music ICT is introduced, which has the potential to open up new vistas in composition and song-writing for all students. Singing and instrumental skills continue to be developed, and notation continues to be taught alongside this. Topics are organised in half-termly units, which cover a wide range of styles and periods, including topics in Western classical music, popular music and music from around the world. 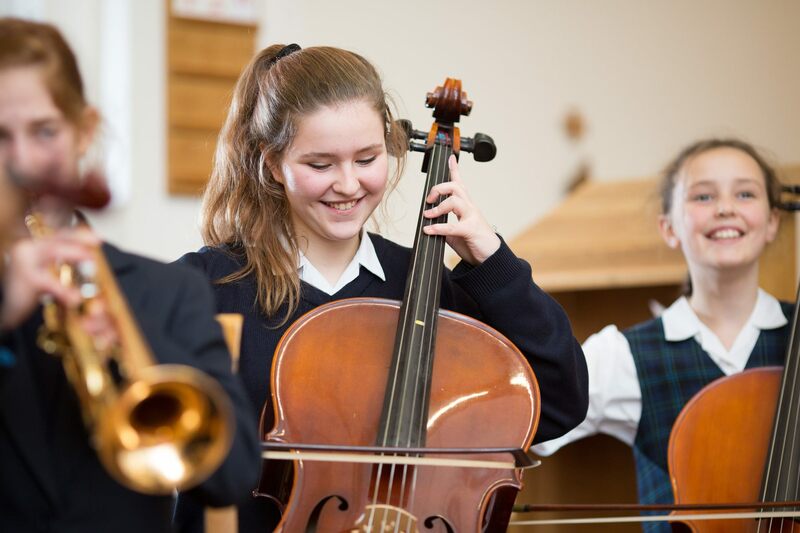 As in the Junior School, work is carefully differentiated to cater for the wide range of musical experience found in a typical class, and there are many performance opportunities throughout the year. 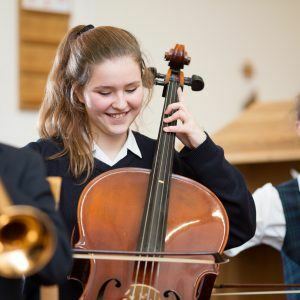 Music is an excellent option at GCSE and A Level for those seeking a challenging but enjoyable subject which combines academic rigour with a strong strand of creativity. We follow AQA’s syllabus for both GCSE and A Level. Each course focuses on performance, composition and developing musical understanding. We benefit from small class sizes so that a tailored approach can be taken with each individual student, playing to their own strengths and musical interests. 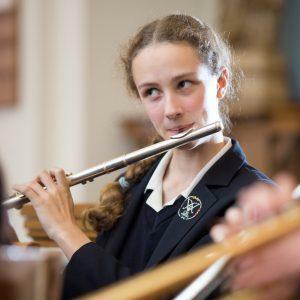 All students at these levels are encouraged to perform regularly and to take part in suitable ensembles, where they may be stretched with solo or leadership roles. We offer outstanding individual support to those considering continuing their musical studies at university or conservatoire.